Manufactured from selected high grade carbon steel. These shanks can be modified to suit individual requirement for mounting cutters etc Available in two types – with tangs and drawbar threaded . 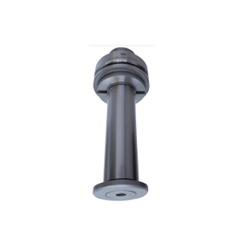 We are wholesale Face Mill Holder-Flange Through Coolant Type. - Used for holding face mill cutters. - Flange through coolant type. - Available in BT, SK, HSK tapers. Accu-fix Precision Tools Pvt. Ltd.
We Are Having Long Length Face Mill Holders & Combi Shell Holders Upto 500 Mm Lenghth. Available In All Tapers Like Bt40, Bt50n, Hsk Etc. - For Cutter diameters less than 160 mm. - For Cutter diameters more tha 160 mm use Flange Type Face Mill Arbours. - Also called Stub Milling Arbour.